The American Prize in Vocal Performance—Friedrich and Virginia Schorr Memorial Award, honors the memory of the greatest Wagnerian baritone of his age, Friedrich Schorr, who commanded the operatic stage between the world wars, and his wife, Virginia Schorr, who taught studio voice at the Manhattan School of Music and the Hartt School of Music for nearly fifty years. For more about Friedrich & Virginia Schorr and the original Friedrich Schorr Memorial Performance Prize in Voice international competition, follow this link. Complete listings of finalists and semi-finalists in The American Prize competitions may be found on our blog. Please scroll down for winners and runners-up in earlier competitions. Winners and runners-up are listed by year. Please scroll down. 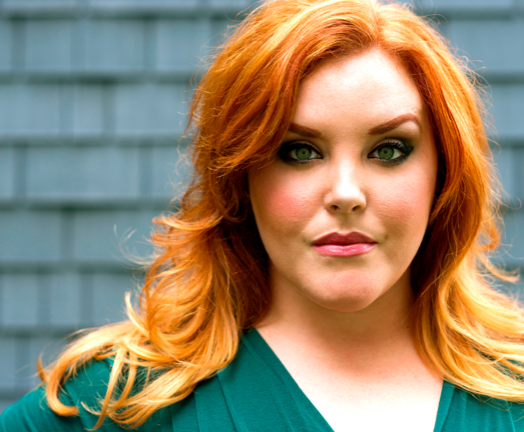 Hailed for her “considerable range and confidence, navigating lower notes with impressive, clarity yet also managing considerable leaps into the higher range as well, exhibiting a warm, plummy tone throughout,” Megan Marino debuts at the Metropolitan Opera as an Unborn Child in Die Frau ohne Schatten in 2013-14. She also joins the company for Rusalka, Werther, and Rigoletto and sings Handel’s Messiah with the Cincinnati Symphony Orchestra. Upcoming engagements include Angelina in La Cenerentola with Green Mountain Opera, Varvara in Káťa Kabanová at the Spoleto Festival U.S.A. In coming seasons, she will join the roster of the Lyric Opera of Chicago. 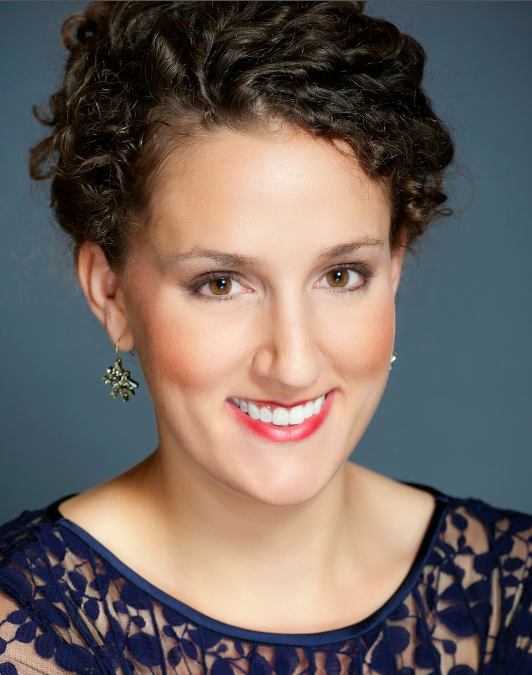 Ms. Marino received The Katharine M. Mayer Apprentice Award from Santa Fe Opera, is a 2nd place winner of Ft. Worth Opera’s McCammon Competition and 3rd place winner of the Lotte Lenya Competition. 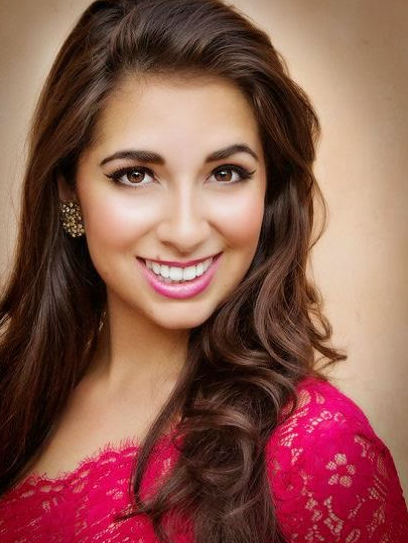 She has been a regional finalist of the Metropolitan Opera National Council Auditions and has placed multiple times at the Denver Lyric Opera Guild Competition. Among judges' comments: "A consummate singer-actor, with all the elements for an international career in place." 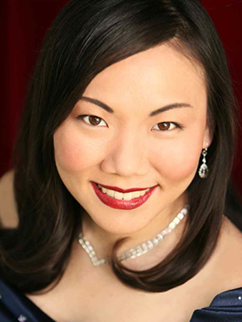 American Soprano, Meghan Picerno was last seen making her Carnegie Hall debut in recital with Metropolitan Opera’s Bass’s Hao Jiang Tian. 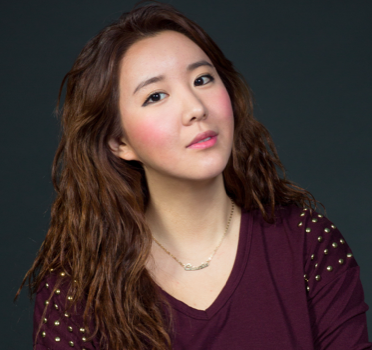 Last year she made her Alice Tully Hall debut singing with the New York City Opera Orchestra under the baton of Maestro Paul Nadler, and the National Center for Performing Arts in Beijing, China as a young artist of I Sing Beijing. 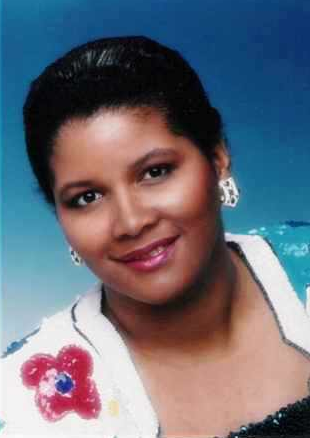 As Zerlina in Martina Arroyo’s Prelude to Performance Program’s production of Don Giovanni, she was praised by the New York Times for her “attractive soprano” voice. She received both her Masters and Professional Studies degrees from The Manhattan School of Music. During her time at MSM, she performed in many productions such as Marissa in Henry’s Wife with American Opera Projects, La Princesse et Le Feu in L’enfant et les Sortileges, soprano soloist in September Songs, The Legacy Of Kurt Weill, as well as various performances with the Contemporary Opera Ensemble. She also made her Off Broadway debut as Liza in the musical revue, Falling in Love with Love. This Spring she was selected as a semifinalist in the Lotte Lenya Competition, as well as receiving 2nd place in the 5 Towns Music Awards in the Opera division. 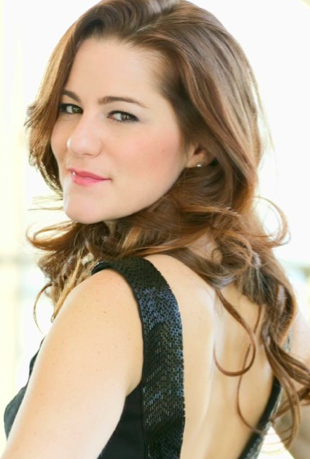 Italian-American Soprano Jessica Rose Cambio recently made her UK debut as Mimì in the Francesca Zambello production of La Boheme at the Royal Albert Hall after performances in Como, Brescia, Pavia, Cremona, Tel Aviv, and in concert with the LA Philharmonic. She will reprise the role and debut Donna Elvira in Don Giovanni this Fall in Macedonia, Thailand, and China. 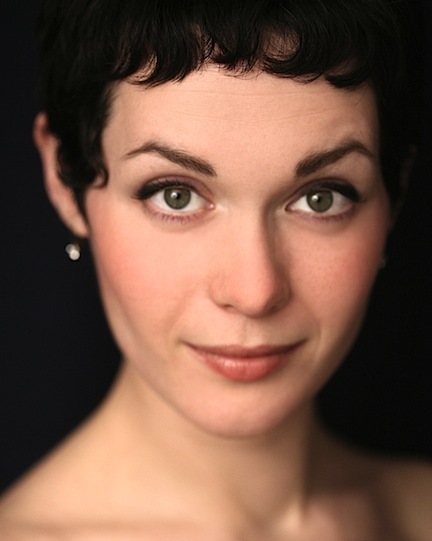 Other recent engagements include Beatriz in Catán's La Hija de Rappaccini with Gotham Chamber Opera. Her repertoire has included Violetta in La Traviata, Alice in Falstaff, Giselda in I Lombardi, Magda in La Rondine, Liù in Turandot, Nedda in Pagliacci, Micaëla in Carmen, and the title roles in Maria Stuarda, Anna Bolena, and Lucia di Lammermoor. Ms. Cambio is an avid recitalist, having sung concerts in Italy at the homes of Giuseppe Verdi and Luciano Pavarotti, Helsinki with the Finnish-Italian Association, Moscow at the Galina Vishnevskaya Opera Centre, NY at Carnegie Hall and Rose Hall at Jazz at Lincoln Center; with the Festival Puccini Torre del Lago Orchestra at the Teatro Comunale di Modena, the Orchestra Filarmonica di Torino, the Israeli Philharmonic in Tel Aviv, and the Saint Petersburg Philharmonic at the Shostakovich Grand Hall for Elena Obratzsova’s 70th Birthday. She made her oratorio debut as the Soprano soloist in Bach's Magnificat at the Duomo di Modena. Cambio has prevailed in an astounding number of vocal competitions worldwide, winning prizes in the Marie Kraja in Albania, Leyla Gencer in Istanbul, As.Li.Co. in Como, and the Gerda Lissner, Licia Albanese Puccini, Giulio Gari, George London, and Loren Zachary Competitions in the US. She was also a finalist in the Julián Gayarre in Spain, and the Voci Verdiane, Marcello Giordani, Ottavio Ziino, and Fondazione Arena di Verona Competitions in Italy, and a semi-finalist in the Metropolitan Opera National Council Auditions and Placido Domingo’s Operalia in Quebec and Verona. She was awarded grants from the Richard Tucker, Gerda Lissner, and Georg Solti Foundations, and she completed her musical studies in the US and Italy working with world renowned sopranos Renata Scotto and Mirella Freni. Equally at home on the operatic stage or in concert repertoire, American lyric soprano Susan Nelson has been praised by critics for her “full, powerful voice – agile and pliant” as well as her interpretations, called both “sensitive and moving” and “full of life and vigor.” She showcases versatility and vocal beauty in repertoire from Bach and Mozart to verismo and contemporary opera. 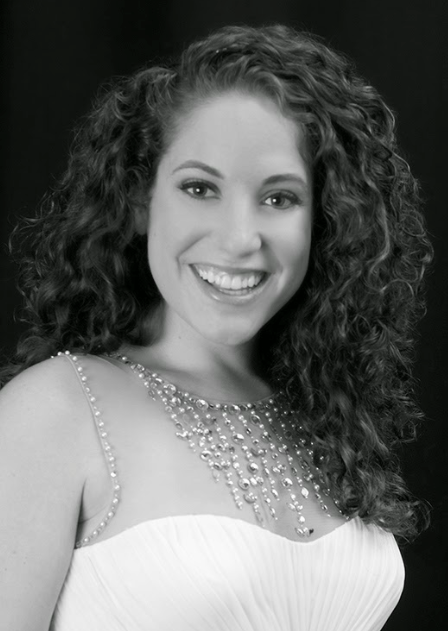 She has been a seen on the stages of Lyric Opera of Chicago, Opera Delaware, Sarasota Opera, Kentucky Opera, Opera Illinois, and The Savoyaires, and has performed as a soloist with Music of the Baroque, Access Contemporary Music, Elmhurst Choral Union, and Illinois Valley Symphony Orchestra. 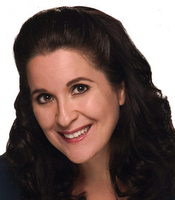 In December 2014, she will return to the South Bend Symphony Orchestra for their Holiday Pops Concerts. Among judges' comments: "many artistic and expressive risks in this performance, making for an exciting and strong musical statement." 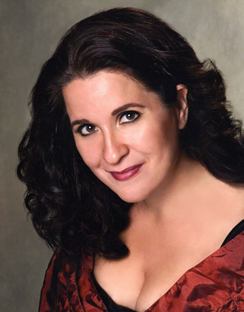 Monica Dewey, soprano, was born in Atlanta, Georgia and began her studies at the University of Kentucky. She received a full scholarship award from the Alltech Vocal Scholarship Competition and studied with Dr. Everett McCorvey and Cynthia Lawrence. She now continues as a student of Elizbeth Nohe Colson in Atlanta, Georgia. She was a semi-finalist in the International Competition “Dr. Luis Sigall” in Viña del Mar, Chile and the Orpheus Vocal Competition in Tennessee. This summer she will be a young artist at the Chautauqua Institute for Music. Recent opera engagements include: Pamina Die Zauberflöte with Lyric Opera Studio Weimar, Rose Street Scene with Harrower Opera Workshop, and Christine Phantom of the Opera with University of Kentucky Opera Theatre. She has been a featured soloist with Thüringer Symphony in Germany, University of Kentucky Symphony Orchestra, and Atlanta Community Symphony Orchestra. Monica has recently begun graduate school at Indiana University where she studies with Carol Vaness. Among judges' comments: "a superb, rich instrument that is capable of such a range of colors...along with superb breath control and release of onset." In 2014, Lauren received 3rd place in the Metropolitan Opera National Council Regional Auditions, after winning 1st place in her MONC District. In 2013, Lauren placed second in the Senior Division and first in the Vocal Division with the Philadelphia Orchestra's Albert M. Greenfield Competition. In 2012, Lauren won 1st place in the MONC District Auditions, and won Westminster Choir College's Voice Scholarship Competition in 2011. Lauren performed Donna Elvira in Don Giovanni with Lyric Opera Studio Weimar in Germany in 2013. She originated the role of Grace in the world premiere of Daron Hagen’s The George Washington Suite with Opera Theater Pittsburgh. Credits include Coaxer in Kurt Weill’s Threepenny Opera, Tina in Jonathan Dove's Flight, the title role in Handel's Alcina, Die Erste Dame in Die Zauberflöte, and Fiordiligi in Cosi fan tutte. 20 year old Vermont native soprano, Lillian Bailey-Broderick, is going into her junior of undergraduate studies at the University of Vermont. After her debut in 2010 as Lady Ella in G&S's Patience, Miss Bailey-Broderick has gone on to perform other Gilbert & Sullivan roles including Mabel, Josephine, and Patience. 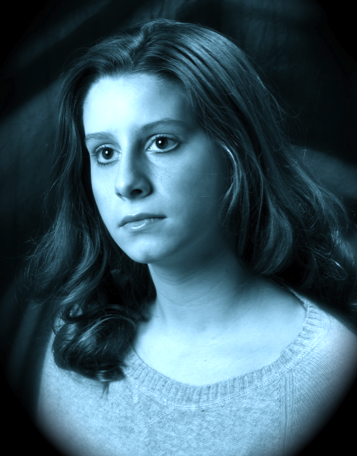 At school, she has performed partial roles, such as Fiordiligi and Countess. 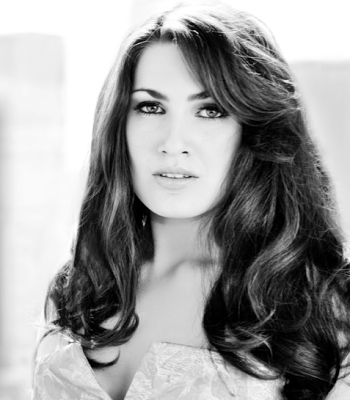 Last summer, the soprano sang the title role in Princess Ida "beautifully and dramatically" (VT Times Argus). She also made her role debut as Konstanze in an English version of The Abduction from the Seraglio. 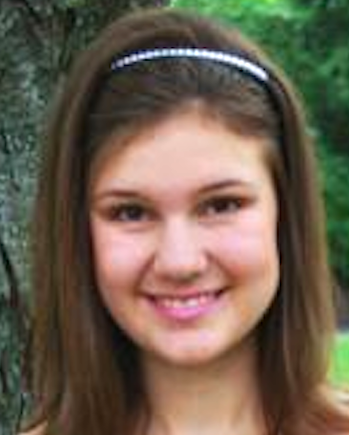 This summer she attended the Accademia Vocale Lorenzo Malfatti in Lucca, Italy. Kelsey Debner is a sophomore at Southwestern University pursuing a Bachelor’s of Music in Vocal Performance. She grew up in Austin, Texas, and was homeschooled through high school. In addition to studying voice since 8th grade, she has studied violin since 2nd grade. She is a member of the music fraternity Delta Omicron. 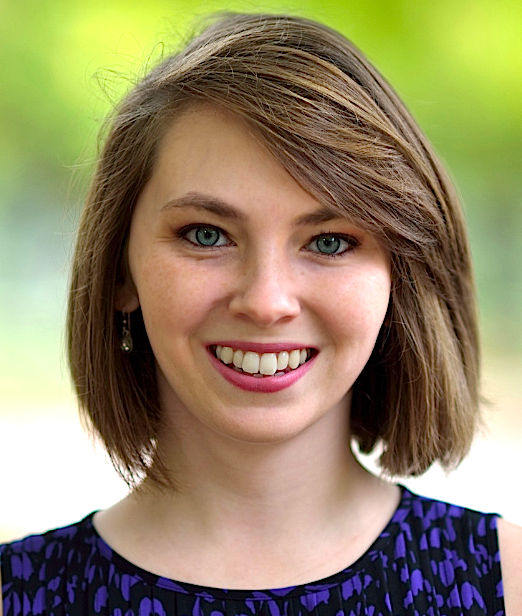 Abigail Jackson is a junior Vocal Performance Major pursuing a Bachelor of Music degree at Southwestern University in Georgetown, Texas. She's currently preparing the role of Fiordiligi in Mozart's Cosí fan tutte to perform with the opera theatre class at Southwestern University. She is also preparing for her junior recital as part of the BM degree. 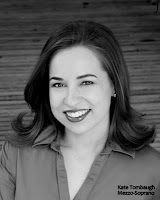 This past January she was cast in the Austin Lyric Opera chorus for Tosca. Her debut opera theatre role with Southwestern University was the Plaintiff in Gilbert and Sullivan’s Trial by Jury in April 2013. 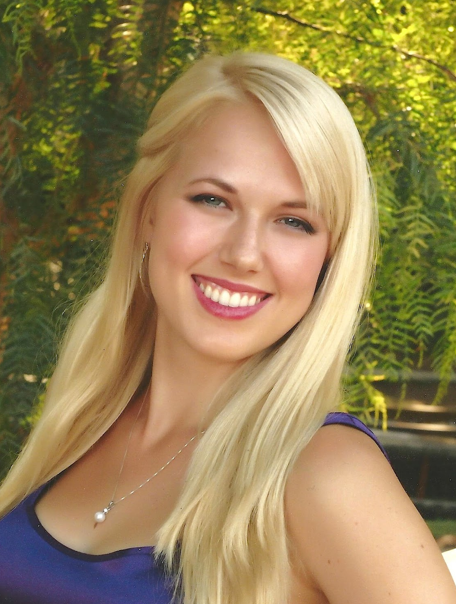 Mezzo-Soprano, Melissa Krueger is a Junior Vocal Performance major at Southwestern University in Georgetown, Texas. 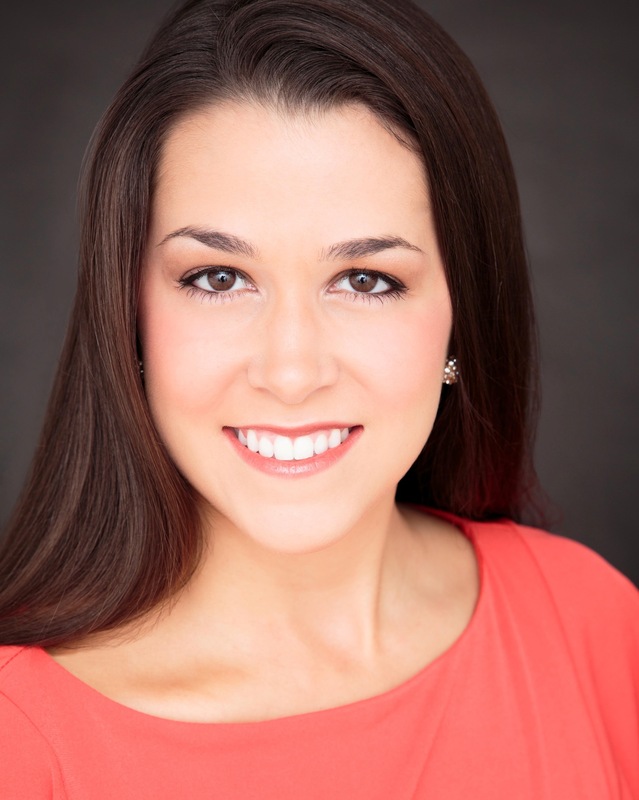 She currently studies with Dana Zenobi, a noted soprano in the Austin area. 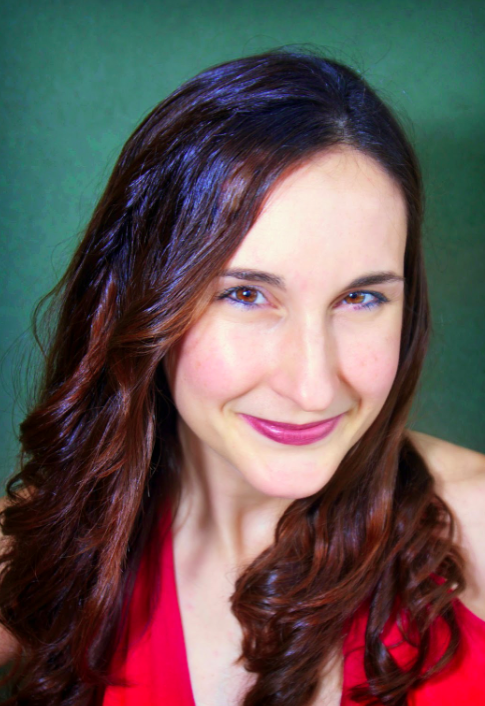 Although new to the opera world, she has already performed in productions with organizations such as Opera in the Ozarks and Austin Lyric Opera. Southwestern has blessed her with the opportunity to sing several leading roles such as Dorabella in Cosi fan Tutte, the Counsel in Trial By Jury, and Polly in The Beggar's Opera. 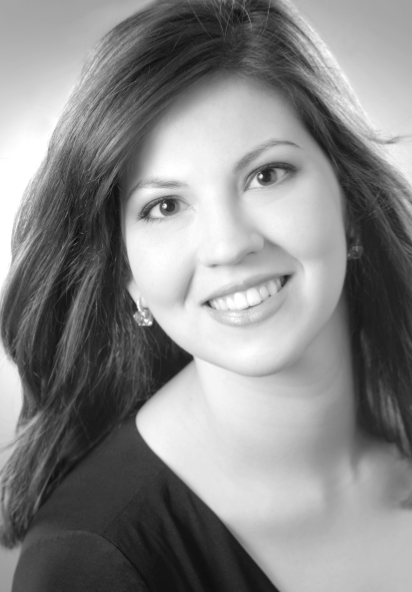 Melissa also works as the Alto Section Leader at United University Methodist Church under the direction of Marc Erck. 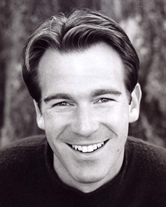 Bass-Baritone, Rocky Sellers, has performed with various companies including: The Santa Fe Opera, Sarasota Opera, Regina Opera, Opera Naples, Opera Saratoga, The Natchez Festival of Music, Delaware Valley Opera Company, Dell'arte Opera Ensemble, The Manhattan Opera Studio, New York Lyric Opera, The Seoul International Program, the Manhattan School of Music Opera, and The University of Tennessee- Knoxville Opera. Mr. Sellers’ previous operatic credits show his wide dramatic range of both Bass repertoire as well as Bass- baritone. Roles including: Baron Ochs (Der Rosenkavalier), Banquo (MacBeth), Dr. Bartolo/ Don Basilio (Il Barbiere di Siviglia), Sparafucile/Monterone (Rigoletto), Leporello/ Commendatore (Don Giovanni) , Sarastro/ Papageno (The Magic Flute), Figaro/ Dr. Bartolo (Le Nozze di Figaro), Betto (Gianni Schicchi), Presto (Les Mamelles de Tiresias), Doctor Malatesta (Don Pasquale) and Wolfgang Big Bad (Three Little Pigs). 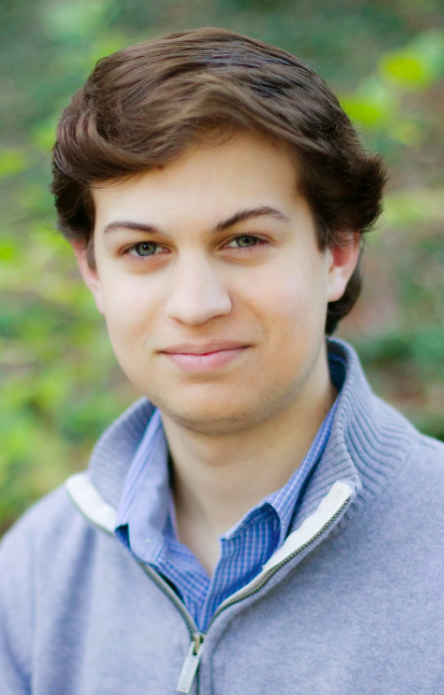 He has received awards from The Metropolitan Opera National Council Auditions, the Grady-Rayam Foundation (winner), The Kennett Symphony Voice competition (winner), The American Prize (3rd place) and NATS. His 2014-15 season includes his debut with Connecticut Lyric Opera in their productions of Der Rosenkavalier as Baron Ochs and La Boheme as Alcindoro in addition to his return to Regina Opera to sing the role of Dr. Bartolo in Il Barbiere di Siviglia. Mr. Sellers is a graduate of The University of Tennessee-Knoxville and pursued further studies at The Manhattan School of Music. 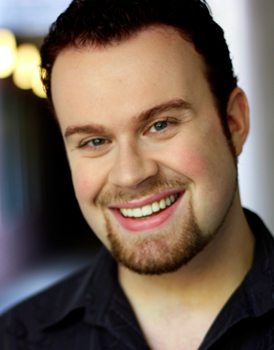 "Championing the Songs of Carlisle Floyd"
Hailed by the Baltimore Sun for the shining color in his singing, Andrew Sauvageau, baritone, enjoys a diverse musical career, singing works written centuries ago as often as those written yesterday. His solo appearances include performances at the Atlas Performing Arts Center, the National Gallery of Art, the Library of Congress, the Kennedy Center, and the Lincoln Center. 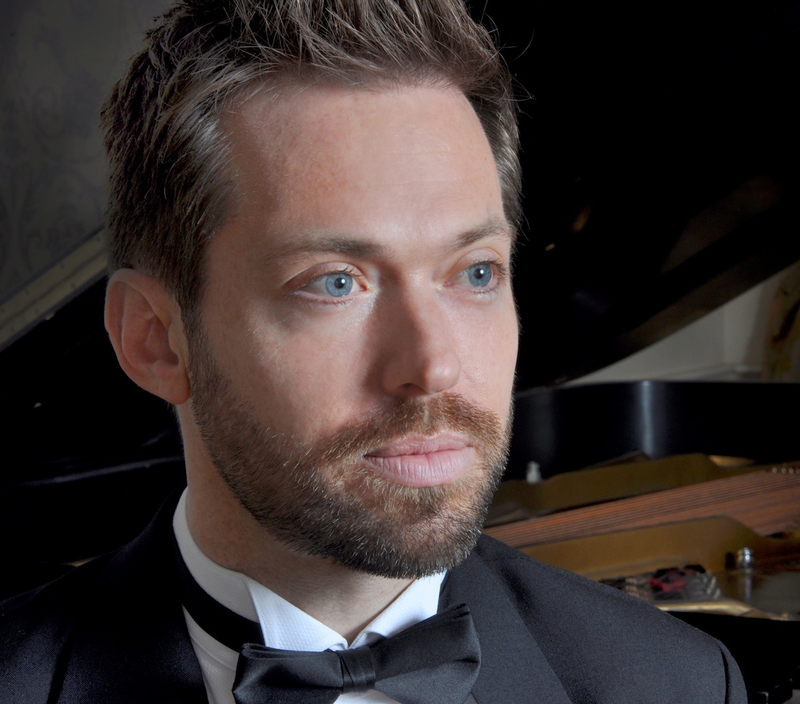 He has performed a variety of concerts on both sides of the country, including opera, oratorio, song, and the premieres of several new works by emerging American composers. 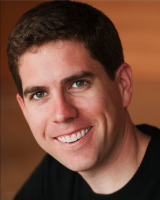 Mr. Sauvageau is a graduate of Peabody Conservatory and University of Oregon. 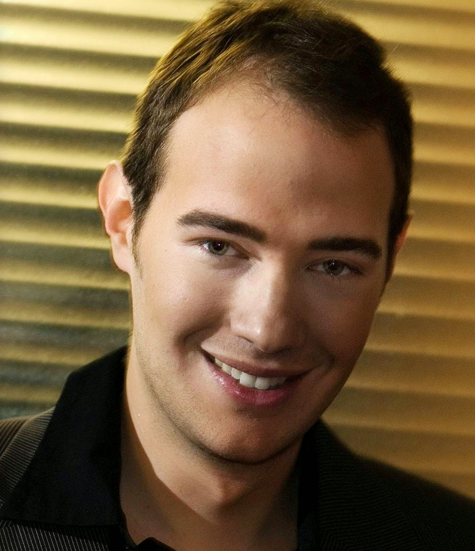 He has recorded two French rarities on the Naxos label with Opera Lafayette. Visit www.andrewsauvageau.com for more. Dramatic baritone Peter Lightfoot's "An American Tapestry" with pianist Dr. Deborah Moriarity, can now be heard on Blue Griffin Records. Lightfoot performed Falstaff in Verdi’s Falstaff in Cagli and Mercatello, Italy. His performance of Marbuel at the Wexford Festival in The Devil and Kate is on DVD. Lightfoot was Bass soloist in Mozart's Requiem with Sir John Rutter at Carnegie Hall. His operatic roles include Verdi's Macbeth; Tonio in Il Pagliacci; Scarpia in Tosca and Rigoletto in Verdi's Rigoletto. His orchestral credits include the Stockholm Philharmonic, the Amsterdam Radio Symphony, the San Francisco Symphony, Houston Symphony, Pittsburgh Symphony, Toronto Symphony, and Dallas Symphony. 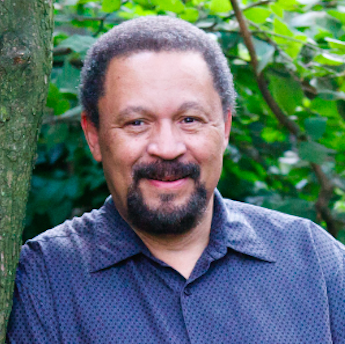 Mr. Lightfoot was born in New York and holds degrees from the Juilliard School and Tufts University. 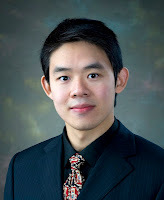 He is winner of a National Opera Institute Grant, a Sullivan Foundation Grant and a Harp Grant. Earlier this year, Mr. Lightfoot won The American Prize Chicago Oratorio Award. He is associate professor of voice at Michigan State University's College of Music. 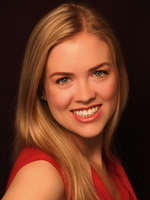 Mezzo-soprano Abigail Dock, originally from Medford, Oregon, holds a Bachelor of Music degree from Rice University in Houston, where she studied with Kathleen Kaun. 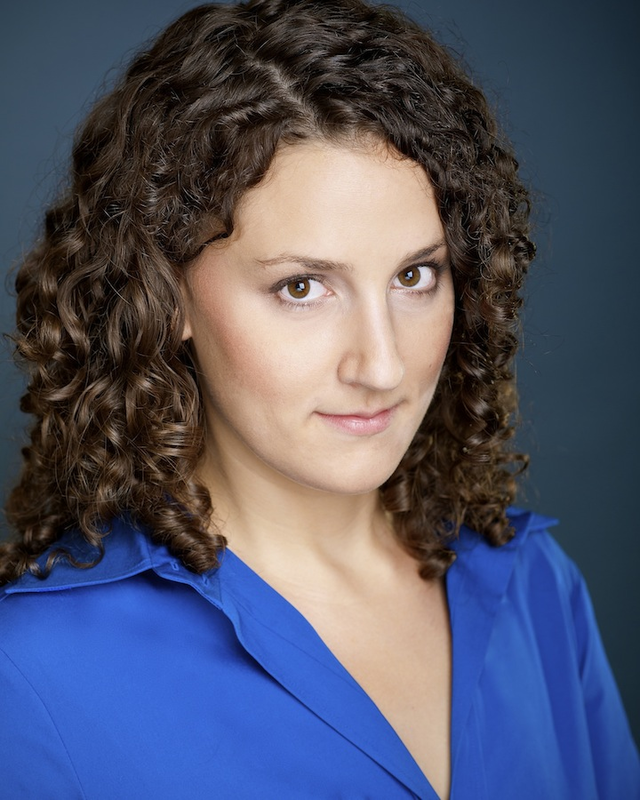 Currently, she is a graduate student in Opera Performance at The Boston Conservatory, in the studio of Rebecca Folsom. 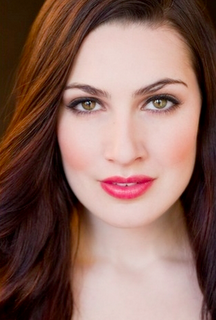 In 2013 Abigail appeared as Olga in Tchaikovsky’s Eugene Onegin at the Seagle Music Colony in Schroon Lake, New York. Calling her “the best actor in the show,” the Daily Gazette (Schenectady) said “she bubbled, she sang wonderfully, and she acted with a believable naturalness. Her facial expressions especially supported her projected emotions.” She recently performed the role of Third Lady in The Boston Conservatory’s production of Die Zauberflöte. 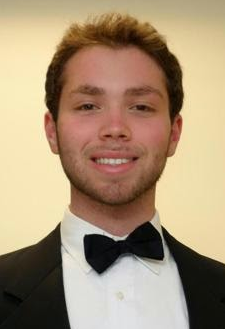 This past January, the 21-year-old singer received the Encouragement Award at the New England Regional division of the Metropolitan Opera’s National Council Auditions. 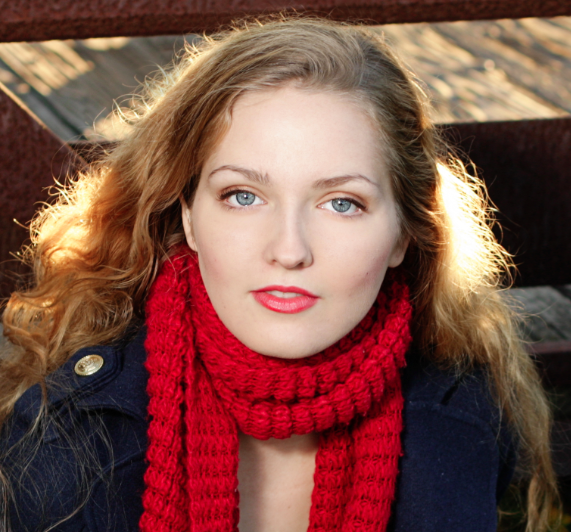 She will join the Bel Canto Young Artists program at the Caramoor festival in New York this summer. These four soloists appeared in concert in Chicago performing Beethoven's Choral Fantasy under the auspices of The American Prize national nonprofit competitions in the performing arts. 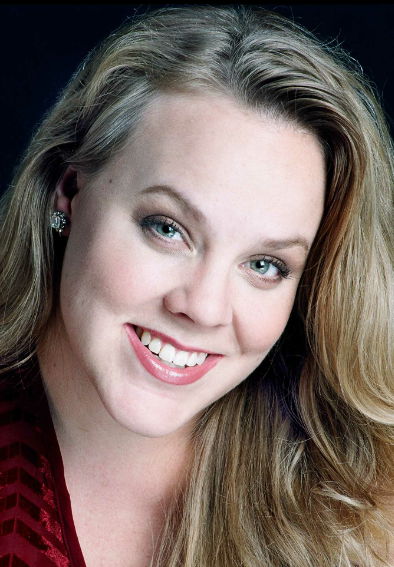 Soprano Julianne Gearhart is quickly becoming known on both sides of the Atlantic for her remarkable theatrical presence as well as the crystalline quality of her singing. She started her career as a devoted singer of Strauss, singing Zerbinetta for numerous companies including The Grand Theatre de Geneve and the New Israeli Opera in Tel Aviv, and Der Rosenkavalier’s Sophie for the Seattle Opera and in her German debut for Theater Lübeck. Gearhart's relationship with Seattle has been close and longstanding. 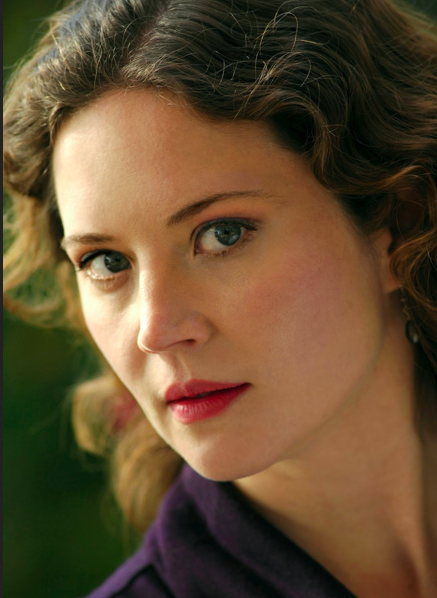 A graduate of their Young Artist Program, she made her mainstage debut in Seattle as Helen Niles in the premiere of the revised Mourning Becomes Electra. Other roles followed, including Woglinde and the Waldvogel in their Ring Cycle as well as a relationship with the Seattle Symphony, where she most recently sang Poulenc’s Gloria, and for whom she has also sung Bach's notoriously difficult Cantata #51, Jauchzett Gott in allen Landen. She reprised the Bach for the White Mountain Bach Festival last season. Gearhart made her Italian debut at the Teatro Lirico di Cagliari, Sardinia, as Blonde in Die Entführung aus dem Serail. She also sang Blonde for the Vlaamse Opera’s 2010 production. She has performed with the Edinburgh Festival, Opera North, Seattle Opera, Sarasota Opera, Opera Grand Rapids, Seattle Symphony, The Canadian Chamber Orchestra of New York, Port Angeles Symphony, Salem Philharmonic Orchestra, Palm Beach Symphony, the Alba Music Festival in Alba, Italy, Grieg Choral Festival in Bergen, Norway, Chamber Music Amarillo, New Israeli Opera, and the Grand Theatre Geneve. She made her Carnegie Hall debut singing under the baton of Maestro Rutter in Handel’s Messiah and Rutter’s Magnificat. 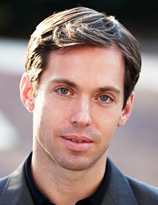 Tenor Christian Ketter is returning in summer 2013 to Music By The Lake for a staged gala concert as Prince Karl Franz in Sigmund Romberg’s The Student Prince. 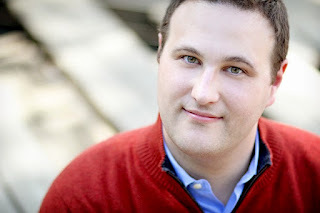 A recent tenor soloist in the Bruckner Te Deum with the Chicago Bar Symphony Orchestra & Chorus as winner of The American Prize Chicago Oratorio Award, Christian's performances this past year also included tenor soloist in both DuBois’ Les sept paroles du Christ and Saint-Saëns’ Oratorio de Noël, and Willy Loman in Rizzer’s operatic adaptation of Death of a Salesman, this last at the Chicago Cultural Center. Mr. Ketter was privileged in the past year to be musically coached and staged by American composer Carlisle Floyd in a concert of his operatic works. Music is high school senior Emily Peterson’s passion. She has studied piano since age five, joined her first choir at ten, developing an enduring love of playing the piano and singing jazz, bossa nova, classical, and Renaissance music. 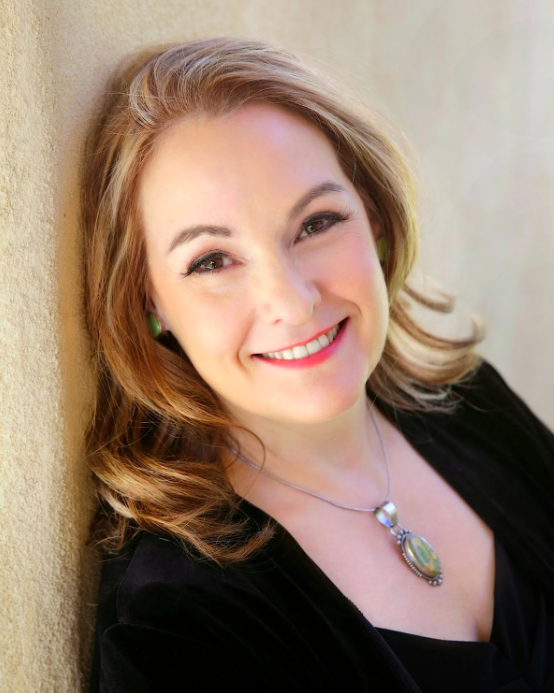 In addition to solo performances at weddings and other events, her current vocal opportunities vary from San Rafael choir section leader, La Jolla Symphony Chorus soprano, and Westview High School choir president and soprano section leader. 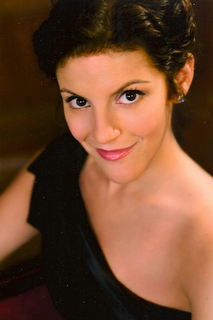 A member of seven choirs, she performed twice at Carnegie Hall in 2012. Emily has moved four times, the travels taking her to several European countries and numerous US states before settling in San Diego. These four soloists appeared in concert in Chicago performing Bruckner's Te Deum under the auspices of The American Prize national nonprofit competitions in the performing arts. 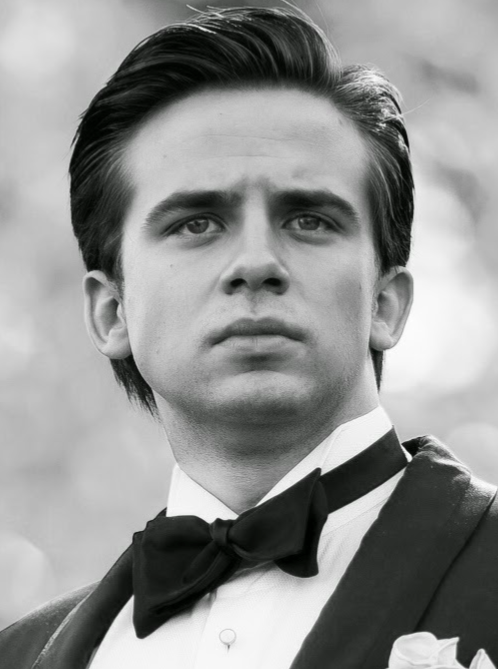 Tenor, Christian Ketter returns in summer 2013 to Music By The Lake for a staged gala concert as Prince Karl Franz in Sigmund Romberg’s The Student Prince. This past year’s performances included tenor soloist in DuBois’ Les sept paroles du Christ and Saint-Saëns’ Oratorio de Noël; Willy Loman in Rizzer’s operatic adaptation of Death of a Salesman at the Chicago Cultural Center. In addition, Mr. Ketter was privileged this past year to be musically coached and staged by American composer Carlisle Floyd in a concert celebrating his operatic works. 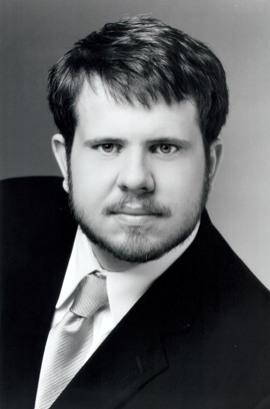 Mr. Ketter was an International Finalist in the Kurt Weill Foundation’s Lotte Lenya Competition. 2012, National Winner of the American Prize in Opera; Shirley Rabb Winston Scholarships in Voice Grand Prize Winner; National Finalist in the Shreveport Opera Competition; Harold Haugh finalist-young artist award; 3rd National Finalist for Hal Leonard Vocal Competition. 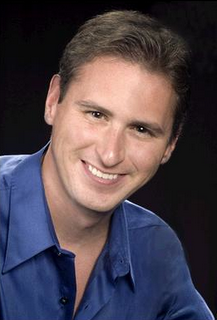 Mr. Ketter has studied under and sung in masterclasses with renowned artists: legendary stage director Tito Capobianco; soprano, Diana Soviero; baritone, Nathan Gunn; Maestro Enrique Patrón de Rueda; the Metropolitan Opera’s Joan Dornemann; film conductor David Friedman; Verdi Baritone Sherrill Milnes; and heldentenor Carl Lawrenz. 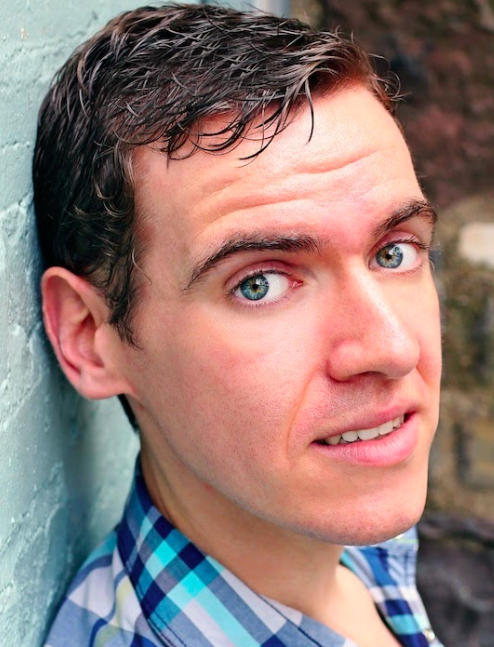 Born and reared in Ireland, baritone Conor Angell recently completed his doctoral degree in voice at the Indiana University Jacobs School of Music. This fall, he joined the faculty of the Greatbatch School of Music, Houghton College, where he teaches voice and directs the lyric theater. With IU Opera Theater, he appeared in performances of A View from the Bridge, Il barbiere di Siviglia, The Tale of Lady Thi Kinh and Gianni Schicchi. 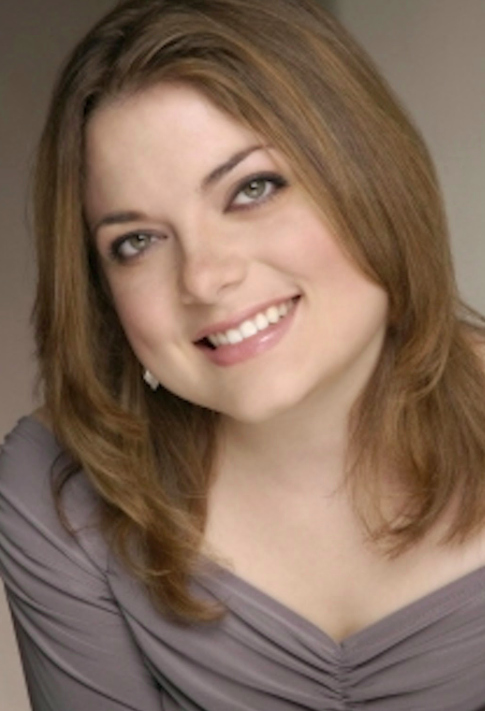 Previously, Angell was a studio artist at Kentucky Opera, singing roles in Werther, Pirates of Penzance, Verdi’s Otello, Telemann's Don Quichotte and Tchaikovsky’s Iolanta. Other operatic credits include roles in Le nozze di Figaro, Così fan tutte, La bohème, Rigoletto, Susannah, Don Giovanni, Die Zauberflöte, Madama Butterfly, and La vida breve. 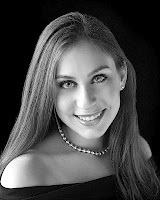 Angell has sung at the Opera North and Brevard Music Center summer festivals. He completed his master’s degree at UNC-Greensboro and his bachelor’s degree at Taylor University. 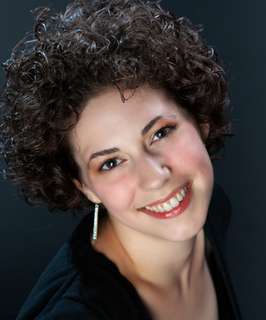 Angell has performed as a soloist with orchestras in Indiana and North Carolina in oratorio and concert works. Among judge's comments: "a beautiful legato line and with spinning vocal production. Excellent phrasing and feeling for the text." A native North Dakotan, Joann earned awards at these competitions: Orpheus, NATS, MONC Auditions, Greensboro MTNA, Coeur d'Alene Young Artists, and Symphony in the Valley. She has played Barbarina, Norina, Yum-Yum, Violetta, Adele, Le Feu, Monica, Gretel, and Lola and performed in concert with the UNCG Orchestra, Vermont Philharmonic Orchestra, and Minot Symphony Orchestra. Joann has her B.A. from Minot (ND) State University under Dr. DeVera Bowles and her Master's from UNCG under Dr. Robert Bracey. Among judge's comments: "very mature; very open and free; full-throated singing with much passion behind the delivery; beautifully done." 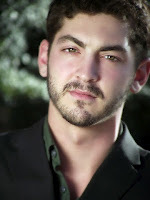 Jeffrey Hill, 26, tenor was a featured young artist at both Opera Theatre of Saint Louis and Music Academy of the West. Carnegie Hall recital debut 2011. 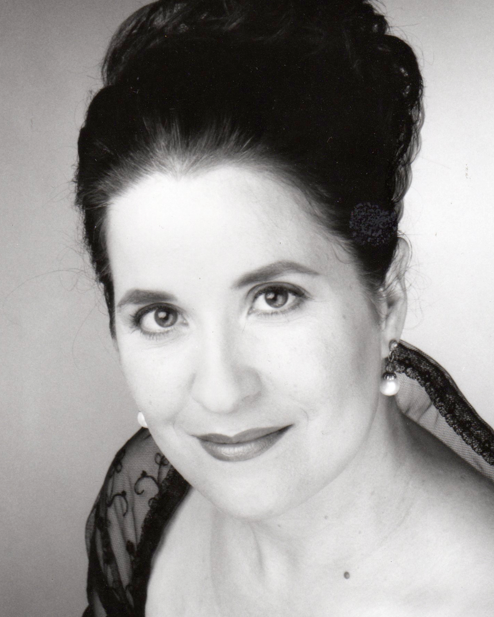 Recital debuts in Paris and New York, and winner of several competitions, including the Marilyn Horne Foundation Competition, and The American Prize (2011). Featured in reviews as "a force to be reckoned with, [a voice] that sounds effortless but absolutely commands the listener's attention," "impressively rich and full-bodied" and "a born entertainer." 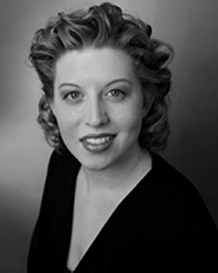 Deborah Blakesley's most recent roles include Donna Elvira in Don Giovanni, La Principessa in Adriana Lecouvreur, Mrs. Grose in Turn of the Screw and Aunt March in Little Women (Banff Opera Centre), the Witch in Hansel and Gretel (Whatcom Symphony Orchestra), as well as several leads at Western Washington University. Upcoming roles include Bersi in Puget Sound Concert Opera's Andrea Chénier, Mozart's Magic Flute in both the Hawaii Performing Arts Festival and the Astoria Music Festival, and Clotilde in a production of Norma featuring Angela Meade and Ruth Ann Swenson (Astoria). 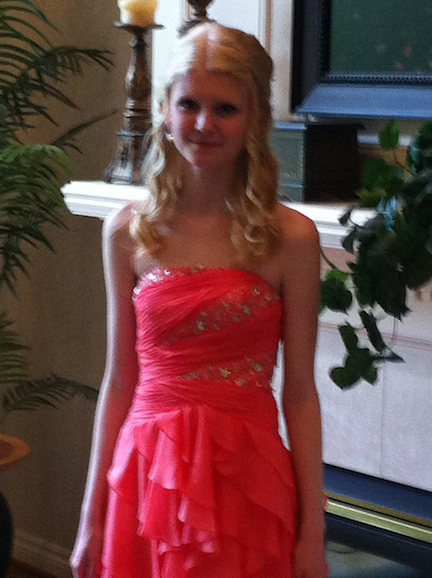 She will be attending the University of British Columbia for a Masters in Opera in the Fall. Among judge's comments: "lovely, rich tone; great artistry and vocal potential." A lyric soprano with an engaging presence on stage, Ruth Hartt has been praised for her "warm and flexible" singing and genuine character portrayals. 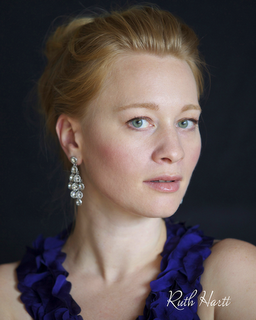 For her recent performance of Beatrice in Jake Heggie's Three Decembers she was hailed as "simply lovely." Ruth recently returned from the Gerdine Young Artist Program at Opera Theatre of St. Louis, where she covered the role of Donna Elvira. Roles performed include Juliette (Roméo et Juliette), Lauretta (Gianni Schicchi), and Clorinda (La Cenerentola). 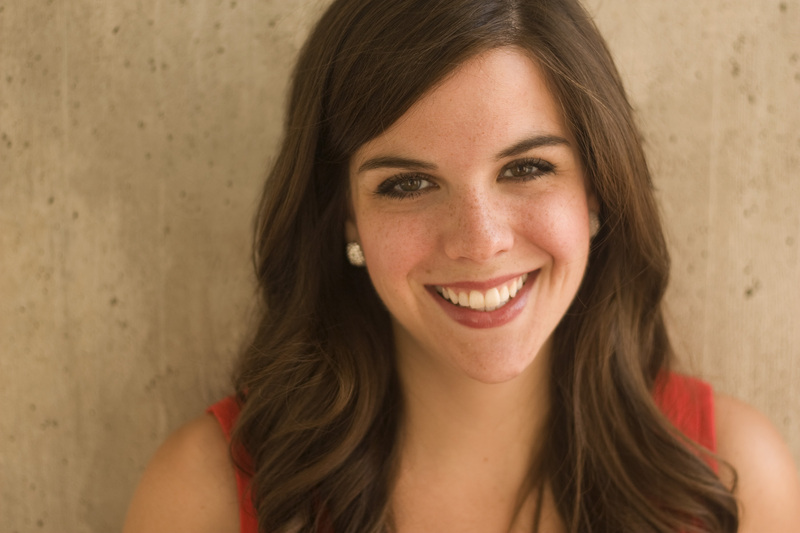 Elizabeth Mary Sutphen, mezzo-soprano, is a fourth year undergraduate at The Juilliard School. In 2011 she won First Place National in Shirley Winston Rabb Scholarship and The National Young Musicians Showcase. 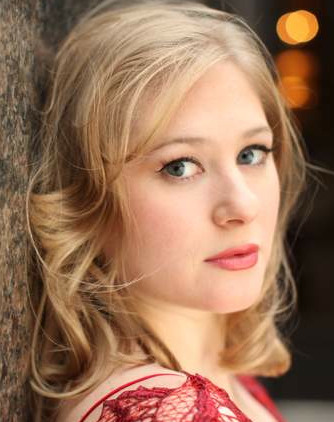 Elizabeth was a soloist in The New York Festival of Song at Juilliard and appeared in A Midsummer Night's Dream for the Juilliard Opera Theater and Aspen Music Festival. She will appear as Il Cavalier Ramiro in the Juilliard Opera Theatre's La Finta Giardiniera. 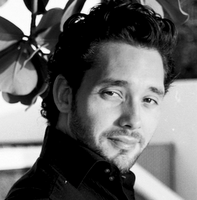 Cristopher Frisco's 2011-12 season includes role debuts as Lenski in Eugene Onegin, Aeneas in Dido and Aeneas (with both the Opera Company of Brooklyn and the Philadelphia International Fringe Festival), Rodolfo in La Boheme, Laurie in Little Women, and Tebaldo in I Capuleti ed i Montecchi. In concert, he has been heard as the tenor soloist in Mozart's Requiem, Bach's St. Matthew Passion, and Handel's Messiah. Among judge's comments: "a solid performer. His tone is full, even, flexible, and sung with the entire body in play. To have this kind of sound this early in his career is unusual and exciting." 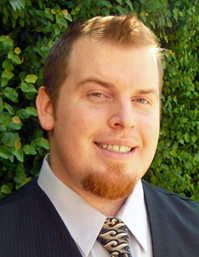 Andrew York, baritone, originally from Arlington, Nebraska is a graduate of the University of the Pacific in Stockton, California where he earned a Bachelor of Music Degree in Vocal Performance. 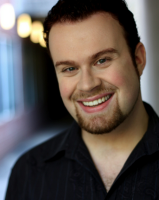 As an undergraduate student at the University of the Pacific, Andrew was fortunate to sing the role of Alidoro in Rossini's La Cenerentola. 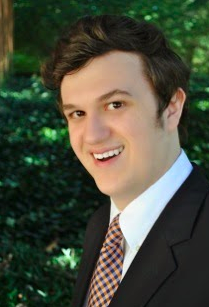 This opera production was selected as a finalist at both the regional and national levels in the Kennedy Center/American College Theatre Festival held in Washington D.C. Also, during his undergraduate studies, Andrew had the opportunity to sing the role of Aeneas in Dido and Aeneas at the Museumsinsel Fest in Berlin, Germany, and the Prince in the Happy Prince composed by Malcolm Williamson at the University of the Pacific. 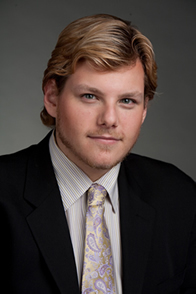 Andrew received his Master of Music Degree in Vocal Performance from the University of Miami in Coral Gables, Florida. Mo Li has won critical acclaim for his "splendid voice and expressive emotion," possessing a rich, sweet voice with distinctive warmth of timber that proves him an established performer in operatic repertoire. 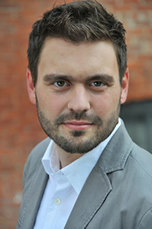 He recently successfully made his European debut in performing the role of Fritz in Offenbach's La Grande-Duchesse de Gérolstein, Mo's opera credits also include leading roles as Tito in La Clemenza di Tito, Piquillo in La Perichole, Mario in Piazza Navona, Alfred in Die Fledermaus, Basilio in Le Nozze di Figaro, and Leon in Signor Deluso. Among judge's comments: "Excellent voice. Well supported and controlled. Good contrast between styles..Very intelligent singing." 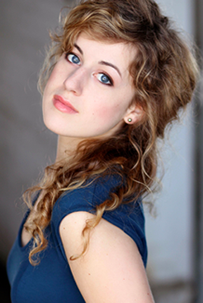 Maggie Schwenker's recent stage credits include The Medium (Baba) and Hänsel und Gretel (The Sandman). She has competed in and won voice competitions hosted by such organizations as NATS and MTNA. 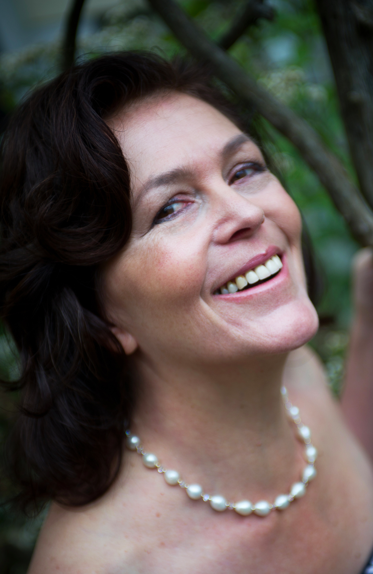 Maggie's extensive solo engagements include the alto soli in Schubert's Mass in G, Mozart's Requiem, and Handel's Messiah. 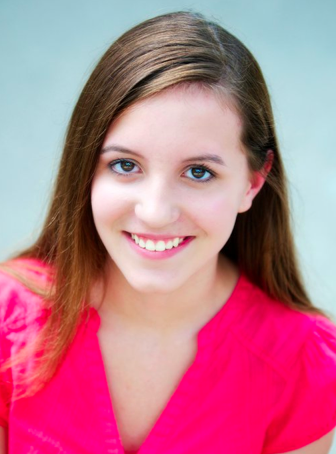 Maggie recently completed her MM in Vocal Performance from the UNCG School of Music. She has studied under Levone Tobin-Scott, Daniel Weeks and Dr. Randall Black. Among judge's comments: "Great resonance in the instrument...Lots of character, and he keeps his color and open quality of his instrument in the quick figuration of the vocal line." Among Judge's Comments: "Impressive. A silvery quality that blooms on the top, the singing has direction and energy, good pitch and fine flexibility." 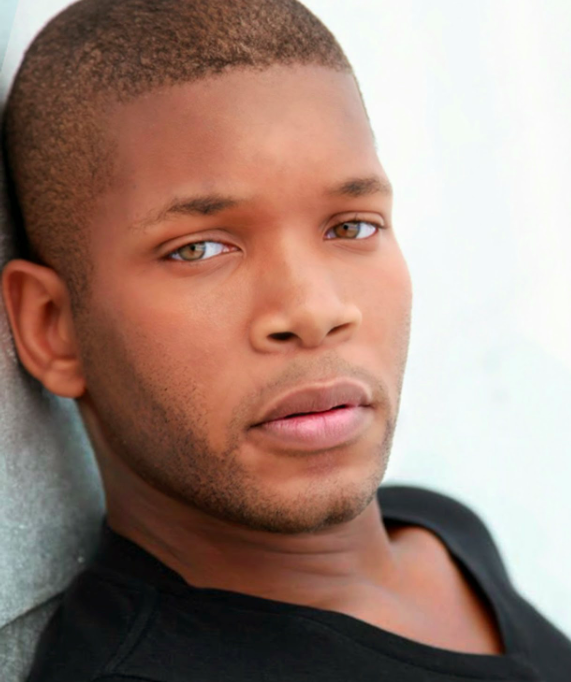 Baritone Matthew J. Daniels was born and raised in Ft. Pierce, FL. He holds Bachelor of Music and Master of Arts degrees from Florida Atlantic University. He is currently in the Doctor of Musical Arts program at Louisiana State University, where he studies with Dr. Loraine Sims. He taught as adjunct professor of voice at Florida Atlantic University and Indian River State College prior to attending LSU. He frequently performs opera and musical theatre roles. Among judge's comments: "Great connection to text plus free resonance....Excellent vocal art overall." 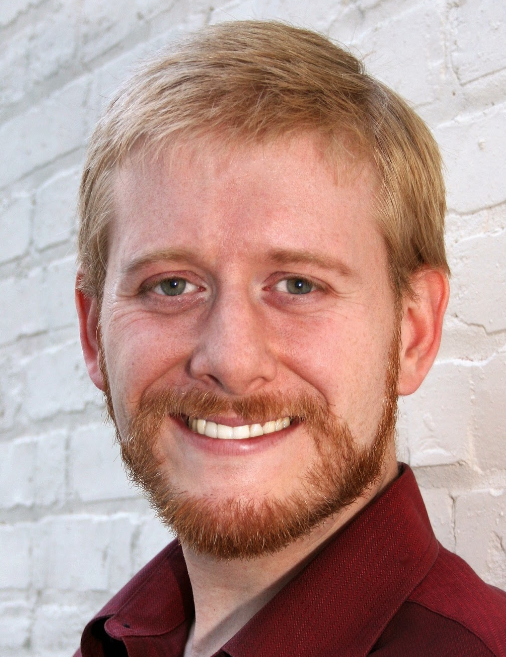 Originally from Springfield, Illinois, Andrew Bawden, a doctoral student studying with Professor Kevin McMillan, is a graduate of the University of Illinois at Urbana-Champaign, the Urbana Center for Alexander Technique, and the Eastman School of Music. 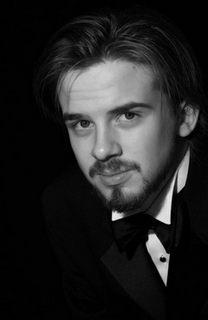 In 2007, he was the first place winner and audience favorite winner of the Rochester Classical Idol Competition. Recent credits include roles with Opera Vivente, Ash Lawn Opera Festival, Hubbard Hall Opera Theater and Tri-Cities Opera. 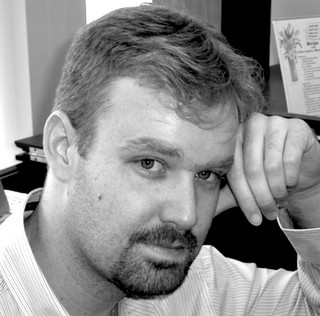 Mr. Bawden was a winner of The American Prize Chicago Opera Award in 2012. 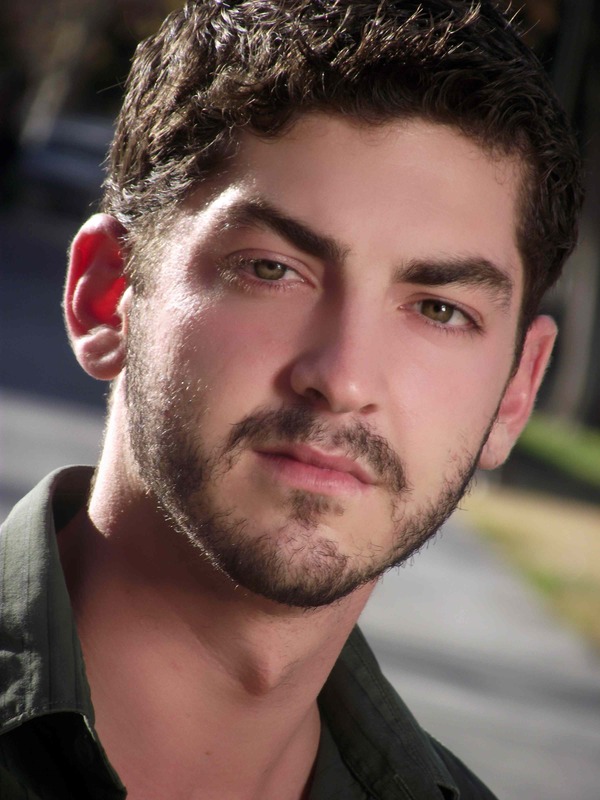 Baritone Michael Orlinsky has performed with Nevada Opera Theatre, Opera Las Vegas, UNLV Opera Theatre, Sin City Opera, Sieur Du Luth, Opera On Tap, RagTag Entertainment, North Park University, and more. He also produced, directed and portrayed Bob in The Old Maid and the Thief in a production that toured Las Vegas. 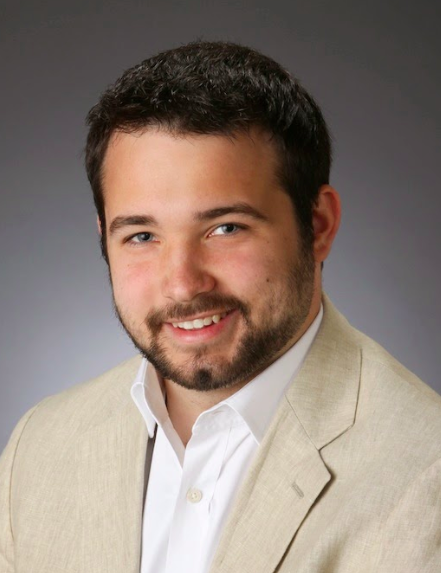 Michael recently started his Graduate studies at North Park University (NPU) in Chicago studying with Dr. Karen Bauer. 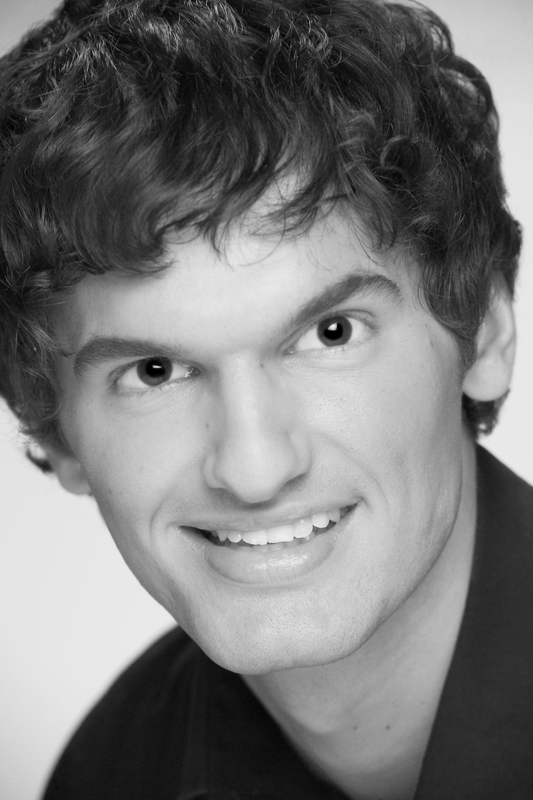 He will be singing the baritone solos The Seven Last Words of Christ in March 2012, Papageno The Magic Flute in April 2012 with NPU and Schlemil/Hermann in Tales of Hoffman with Katydid Productions in June of 2012. 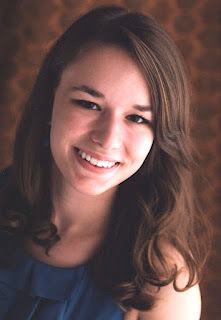 Clare Demer is a 17 year old senior at University High School in Tucson, AZ. 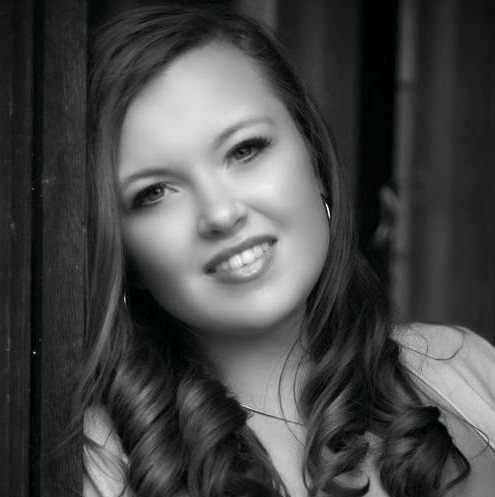 Clare began her music studies with piano at age 6 and discovered her love for singing when she was 13. 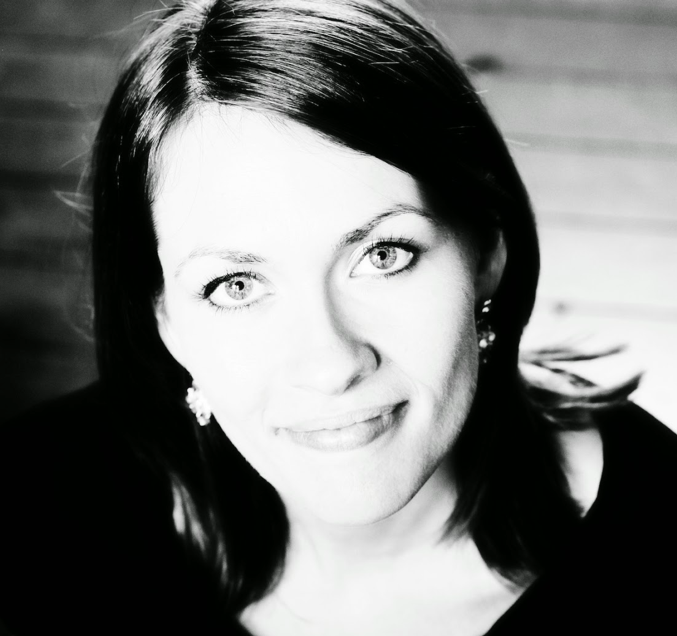 In 2009 and 2010 she sang with the Youth Choral Academy, as part of the Oregon Bach Festival. 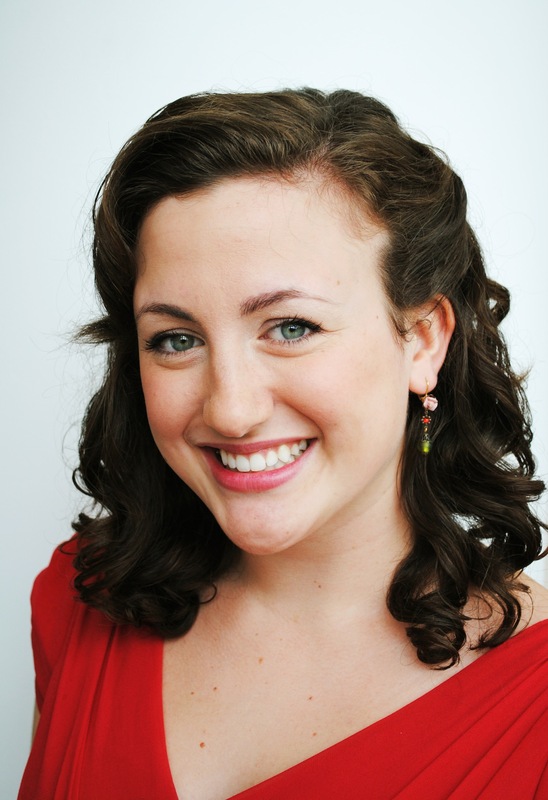 In 2011, she attended the Walnut Hill Summer Opera Intensive in Natick, MA, and Italy. A student of Stephanie Morgan Fox, Clare is a 2012 NFAA YoungArts Honorable Mention winner. Among judge's comments: "a great purity and vibrancy of tone. The Schoenberg shows you clearly connected to the meaning of the text, as is the majority of your program." 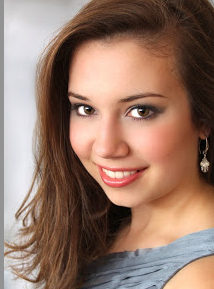 Soprano Grace Canfield, won first place in the Chicago NATS competition in 2011. 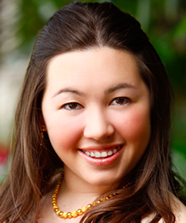 A high school senior, Grace placed second in the Elgin Opera competition and performed in the 2010 Songfest season at Pepperdine University. Last summer she participated in the Castleton Festival season, making a cameo appearance in Kurt Weill's Seven Deadly Sins under the baton of Lorin Maazel. A student of Nancy Gustafson, Grace hopes to continue her musical studies at a conservatory next fall. 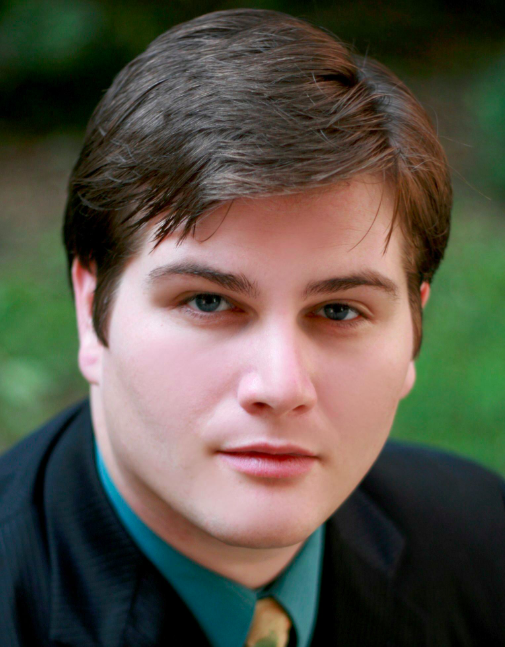 For his 2011 debut with Light Opera Works in the demanding title role of the Student Prince, the Chicago Tribune's Chris Jones praised "the gorgeously voiced young tenor William Bennett." 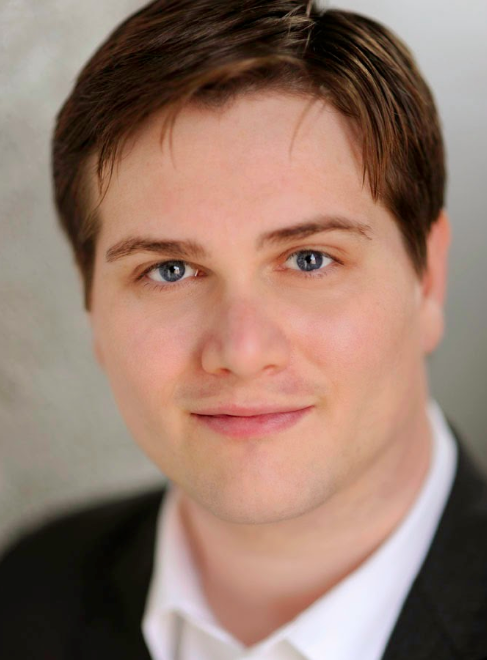 William Bennett has also performed solo operatic roles with Chicago Symphony Kraft Series, Lyric Opera of Chicago's Opera in the Neighborhoods program, Chicago Opera Theater Young Artist Program, Ash Lawn Opera, Sugar Creek Symphony & Song, Cedar Rapids Opera, Elgin Opera and DuPage Opera Theater. For more about Friedrich & Virginia Schorr and the original Friedrich Schorr Memorial Performance Prize in Voice international competition, follow this link. Complete listings of finalists and semi-finalists in The American Prize competitions may be found on our blog. Among judges' comments: "...expressive & believable, versatile & able to match demands of performance practice, lots of control, free voice, lacks tension..."
and carries an innate passion that is palpable to its audience." 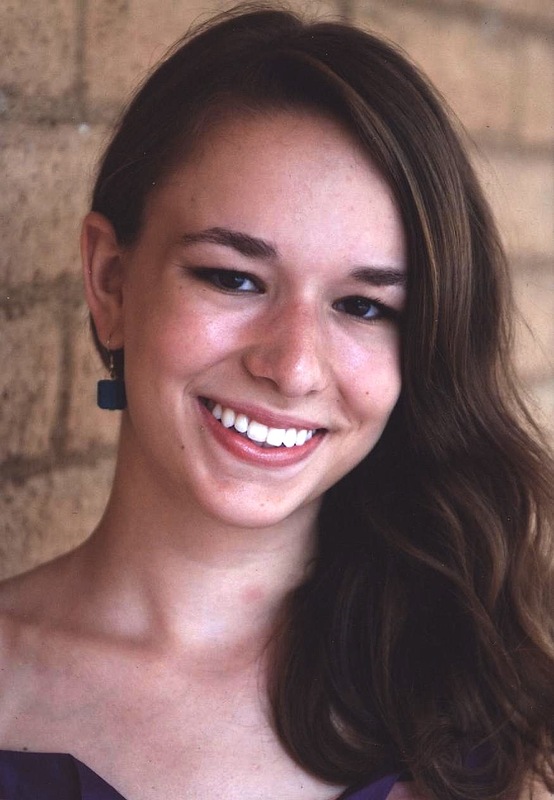 Maren Weinberger is a senior vocal performance major at Oklahoma City University and studies with Larry Keller and vocal coach Jan McDaniel. 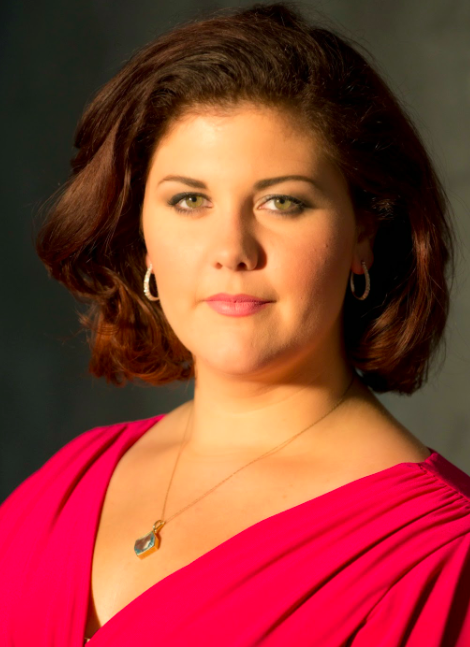 Last summer she participated in "Si Parla, Si Canta", an opera program in Urbania, Italy under Benton Hess, director of opera at Eastman School of Music, and worked with esteemed faculty including Bob Cowart (The Metropolitan Opera). She has also been seen in Light Opera Oklahoma's '09 summer season in My Fair Lady, The Gondoliers, and A Little Night Music. Her OCU credits include: Violetta in La Traviata, The Consul (as Anna Gomez), Too Many Sopranos (as Jeanette), and Bat Boy. Among judges' comments: "...tone was gorgeous...impressive control and vowel uniformity." Among judges' comments: "...ringing, exciting high notes and a full, rich Italianate sound..."
There were co-winners in the High school division in 2011. Each receives the same honors. Among judges' comments: "...beautiful, flowing and natural vocal tone, ideally suited to her age." Emily Tworek-Helenbrook, 16 year old, lyric coloratura soprano, was showcased on the CBS Morning Show with Renee Fleming. 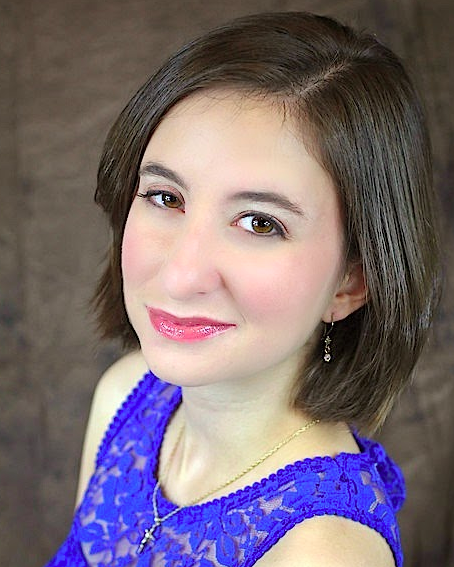 Emily was awarded first place at the Schmidt Vocal Competition and Classical Singer's Mannes College and Boston Conservatory, Marvin Hamlisch BPO Contest, and Rochester Oratorio Classical Idol. Emily performed at the Kosciuszko Foundation, NYC as winner of the Barry Alexander International Voice Competition She performed as a soloist with the Buffalo Philharmonic, Viva Vivaldi Festival (four years), Rochester Philharmonic, Genesee Symphony, and Cheektowaga Orchestra. Among judges' comments: "...beautiful voice...expressive...clear diction..."
Among judges' comments: "...really fine voice for Russian literature...consistent timbre quality...with richness and articulate diction throughout the registers." There were co-winners in the Professional division in 2011. Each receives the same honors. Among judges' comments: "...he knows of what he sings and embodies that in his clear diction, nuanced command of his instrument, and overall musical presentation." Among judges' comments: "His sound, a joy to listen to, is highly influenced by his attention to text, is presented with care through specific interpretative choices, and carries an innate passion that is palpable to its audience." 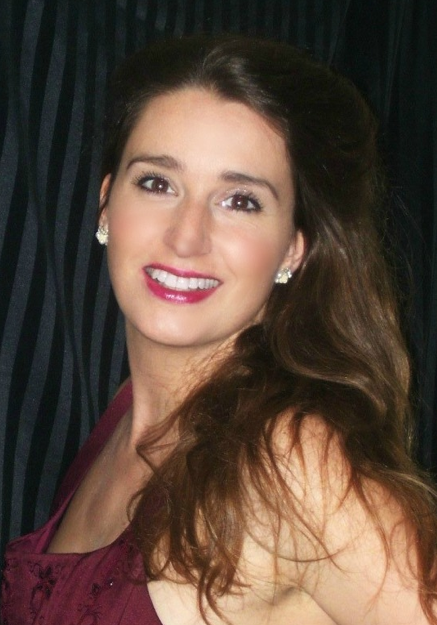 Among judges' comments: "...lovely voice, good flexibility, excellent choices of repertoire. English diction especially good and easy to understand..."
Among judges' comments: "...he sings with beautiful musicality and artistry..."